Woods has 10 less putts on Friday than he did on Thursday, but the score was just three shots better. So obviously, it’s easy to tell that he did not hit the ball better today. And with the second round of the Honda Classic still on going, the majority of the leaders are still out on the course, and Woods could very easily be nine or 10 shots behind heading into the weekend. But a low number is out there, and Brian Harmon showed that to be the case. The former University of Georgia player shot an unbelievable 61 on the Bear Trap on Friday, that included a missed birdie attempt on No.18 from about five feet. Talk about jumping up the betting odds going into the weekend. Harmon shot a 3-over par round of 73 on Thursday, and now sits at 6-under par and well within contention, though still behind the lead. As for the odds, they will be reformulated following the conclusion of Friday’s play and the cut is determined. Rory McIlroy continues to be in contention today, though his round is not yet complete, but he will likely be the betting favorite going into the weekend to win. But there are a host of players sitting withing five shots of the lead, in this jam-packed leader board going into Saturday. In addition to the overall odds to win the tournament, there will be a variety of head-to-head betting lines for the two-somes that will be going out. 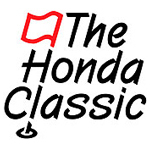 Be sure to check out the PGA Tour Betting Odds at Bovada Sportsbook for all the weekend lines for the Honda Classic.